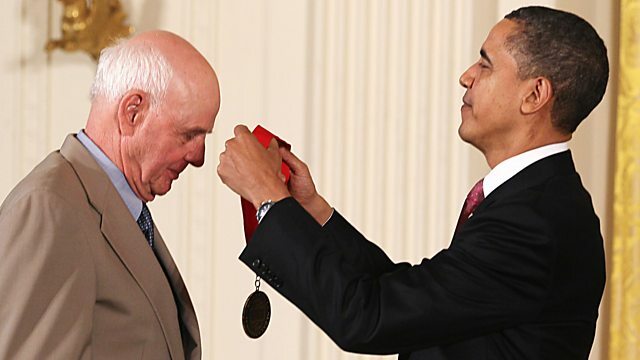 Ella McSweeney meets the inspirational figure Wendell Berry - the farmer, author, campaigner and philosopher whose work also influenced food campaigners including Michael Pollan. Yet despite his widespread influence he lives at a different pace to the majority - using horses to work the land and refusing to get a computer. For those unfamiliar with his work Ella will explain just how significant he's been on politicians and game-changers and, for those who know him already, a chance to hear his thoughts on how to feed ourselves without destroying the land and plant we have. Ella also visits the city of Louisville to see how people are putting his thoughts into action in projects that provide access to fresh food and but also unite communities otherwise divided.